Bee Mask in the NW! BEE MASK in the NW!!! Returning from an Australian tour, Philly-resident Chris Madak/Bee Mask makes his debut NW appearances, offering up his signature blend of synthesis and concrete. With the recent release of two significant works on Mego sub-label Spectrum Spools (including a reissue of his Gift Tapes cassette, Canzoni dal Laboratorio del Silenzio Cosmico) and his forthcoming release on Room40, Chris has become a significant force in the contemporary experimental music community. I was pleased to see DRAFT (Gift Tapes sub-label) get some reviews in The Wire, thanks to Nick Richardson. Joel Brindefalk’s A Rough Patch and Atlantic Triangular Trade’s Velvet Satellite made it into the Outer Limits review section. 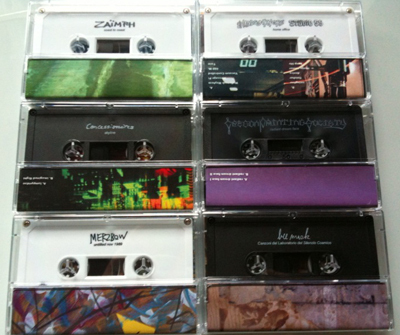 We’ve posted samples of all the DRAFT tapes – check them out on the site: draftrecords.com You can find the review below. Turns out Brother Raven’s diving into the pineapple portal LP in The Wire as well, from last month (thanks to Keith Moliné). Dave Segal posted it here on The Stranger Line Out music blog. Many thanks to Aguirre Records for making that re-release possible! 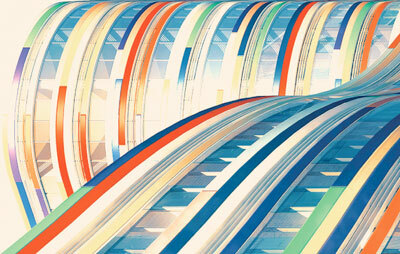 Check out their newly re-designed website: www.aguirrecords.com to see all the killer jams Pieter has in store for us! NEW Gift Tapes are coming soon. My thought is they’ll be ready sometime in late February… a little later than expected, but that’s not too far off. This batch includes solo projects from both members of Brother Raven, as well as the new solo tape by Matt Carlson (synth player in Golden Retriever). 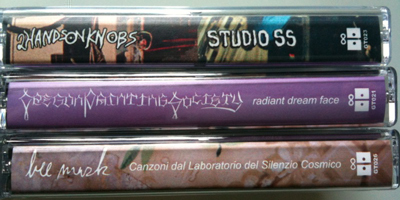 Since this will be Gift Tapes 2nd year in business, we’ve planned some pretty crazy surprises for this set of releases. You won’t want to miss out, so get in on the action as soon as these drop. I’ll post the release date and related info to the blog when the time comes. Keep posted! Last week we received exciting news that one of our favorite Gift Tapes releases, Bee Mask‘s Canzoni dal Laboratorio del Silenzio Cosmico, will see a LP re-release on Edition Mego‘s new sub-label Spectrum Spools. EM’s releases are always top-notch, and this one will be cut by Rashad Becker at Dubplates & Mastering (meaning this LP will sound amazing!). It’s a limited edition of 500, due out April 4th – pre-order while you can! Congratulations Chris Madak! Tomorrow, Cristin and I are headed out east for a little vacation to NYC. Immediately following our break, I’ll be touring as Harpoon Pole Vault with Bee Mask/Chris Madak (see Deception Island label). Super excited! Three of these shows will feature Zaimph/Marcia Bassett, so be sure to catch those if you can. Our NE mini-tour dates are listed below. Hope to see some of you! FRESH poster design by WITCHBEAM! July 9, 2010 – Philadelphia, PA – Pageant Soloveev – HPV, Zaimph, Bee Mask. 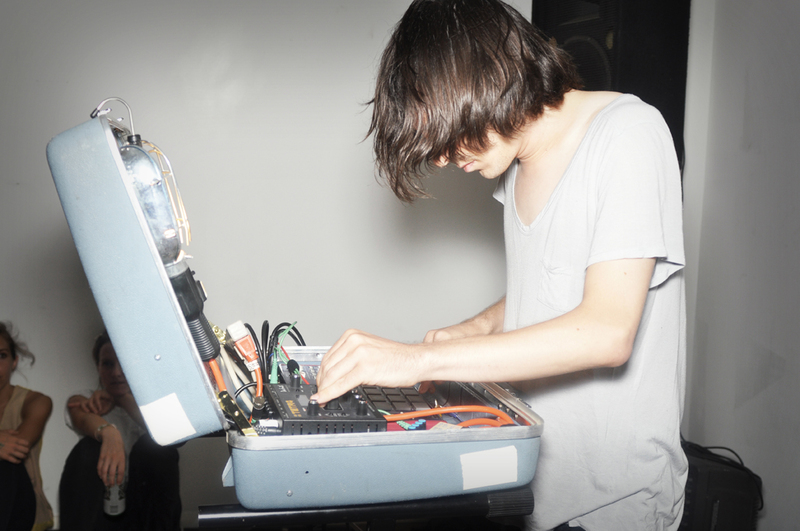 July 10, 2010 – Brooklyn, NY – Port d’Or – HPV, Zaimph, Bee Mask. July 11, 2010 – Burlington, VT – Firehouse Gallery – HPV, Bee Mask, A Snake in the Garden. July 12, 2010 – Easthampton, MA – Flywheel Arts – HPV, Bee Mask. July 13, 2010 – Providence, RI – ZACCHILLI HOUSE – HPV, Bee Mask, Arley Marks. July 14, 2010 – Brooklyn, NY – Zebulon – HPV, Zaimph, Bee Mask, mi or and the pedestals. Gift Tapes is pleased to announce that our monster SUMMER double-batch has arrived! 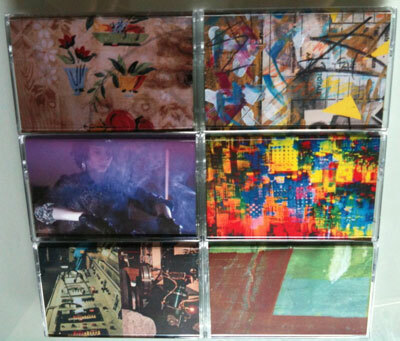 Six new tapes out today. Purchase them here while supplies last! Totally bizarre sound worlds from an island of misfit droids. Offered up by up-and-coming Portland art collective Oregon Painting Society (core members include: Matt Carlson, Brenna Murphy, Barbara Kinzle, Birch Cooper, and Jason Traeger) this recording is a document of their Radiant Dream Face installation mounted at Portland State University, December 2009. Improvisations with houseplants, a pair of corn cobs and a glass crystal, each controlling oscillators, recorded direct to 4 track. Synth/guitar duo project consisting of Brad Rose (The North Sea) and Pete Fosco. Their debut release unveils massive cathedrals of melodic sound that push/pull the listener through cavern-like underworlds into open, pale-blue, impressionistic skyscapes. Two side-length meditative improvisations, perfect listening for shimmering summer afternoons. The daily reality of machines in the home and the office as interpreted by 2 synth artists. Studio SS merges home appliances with analog and digital synthesis. A mixture of both quiet noise and on-edge insomnia that hint at the claustrophobic terror state of a forgotten inmate. 2 Hands on Knobs engages office machinery with synths, sampling keyboards, and drum machines, creating industrial spirituals for a drone army or narrating the awkward birth of an android. In Marcia Bassett’s newest Zaimph recording, masked guitar roams from the East to the West, through rugged American landscapes. Bassett’s guitar and effects are captured direct to cassette as a stereo room recording, summoning a gorgeous haze of tape noise and ambient sounds. 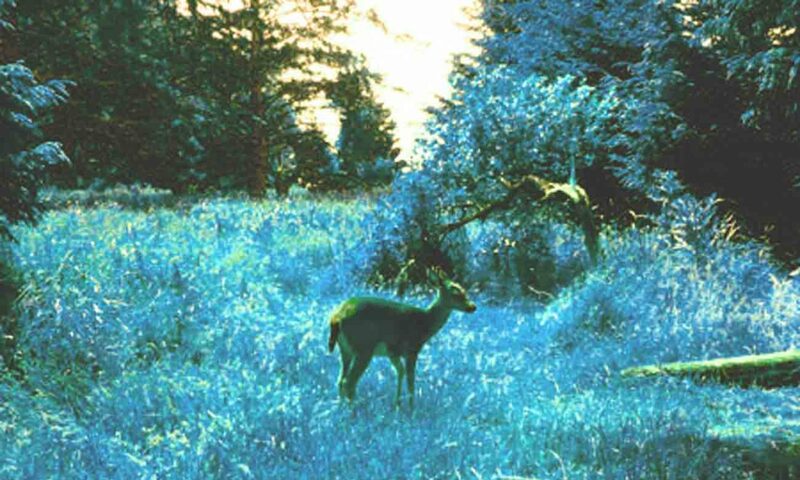 Electronics and field recordings collide in what many consider a peak moment of Merzbow’s extremely prolific career. Recorded in 1989 and mixed this past February on a 4-track that Gift Tapes sent to Japan! HEAVY factory sounds manipulated via amplification and signal processing to create a massive mechanized environment and an altered state. Bee Mask’s newest work gives a nod to experimental music of the 20th century; classic kosmiche zones are fused with musique concrete to form a surrealist sound collage of home studio and field recordings. Synths, sampler, prepared piano, variable speed cassette players, voice and handmade instruments all come into play, explaining quantum mechanics via dream logic. *All cassettes are pro-dubbed, imprinted, loaded with high bias tape, packaged in regular size Norelco cases, w/ 2-sided color cardstock j-card insert that includes artist name and album title. Also, Harpoon Pole Vault will be touring NE US in July w/ Zaimph & Bee Mask (both of whom have tapes out in this current GIFT batch)! Tour dates are coming together now, but more info will be posted here soon as details begin to solidify. 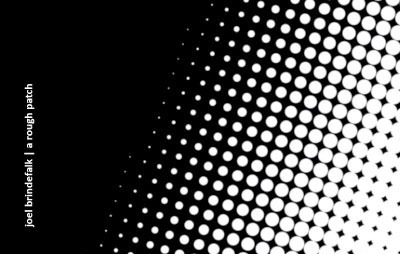 DRAFT, the new no rules sub-GIFT imprint will debut its first set of releases. We’re expecting these to land sometime in August. The next edition of the SYNTH NIGHT series will happen Friday, August 13th. An Evening of Meditative Music with Stella Haze, Spare Death Icon & Pulse Emitter at the Chapel Performance Space here in Seattle.